Maple is the lightest color wood that we use. As it ages, it turns a little amber in color. We are lucky to get our Walnut and Maple wood locally. We often have first choice of the lumber that comes out of the mill. The mill owners usually call us when they get particularly beautiful boards.They know what we like. Notice the billowing cloud-like figure on the T-brace in the picture on the right. 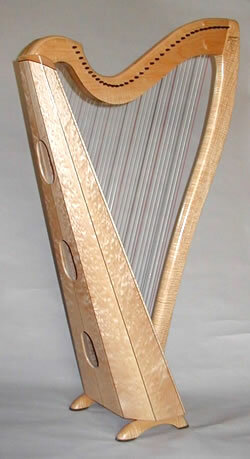 This is characteristic of the quilted maple. 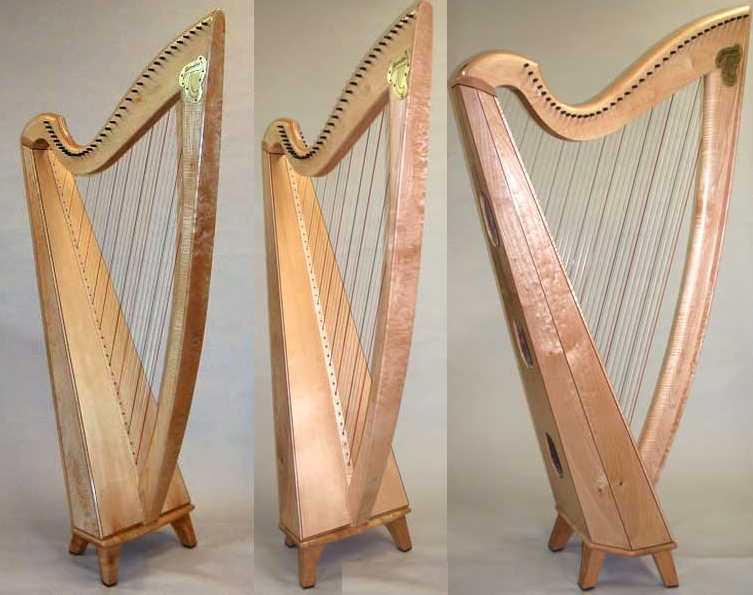 We also offer a fiddle back maple and a curly maple. Maple has a bright tone that is well-balanced with good projection and a strong fundamental. 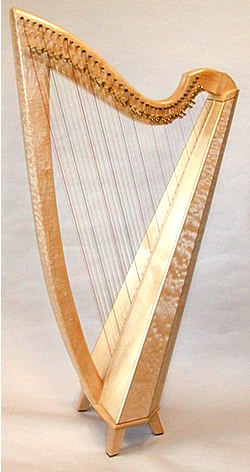 Notice the rubber on the bottom of the feet of both the Swan and the Cygnet, which helps to keep the harp from slipping when playing on an uncarpeted floor. Some of the Maple woods above might be considered deluxe and there would be an extra charge for it. If you're interested in premium Maple, let us know. We can show you what we have by way of a private webpage. There is a $100 minimum for looking that will be applied to the price of your wood choice.